Often I am asked which wine I drink with Thanksgiving dinner when I have turkey and all the trimmings. There are, of course, many different choices that can work very well but if I had to chose one it would be Amarone. 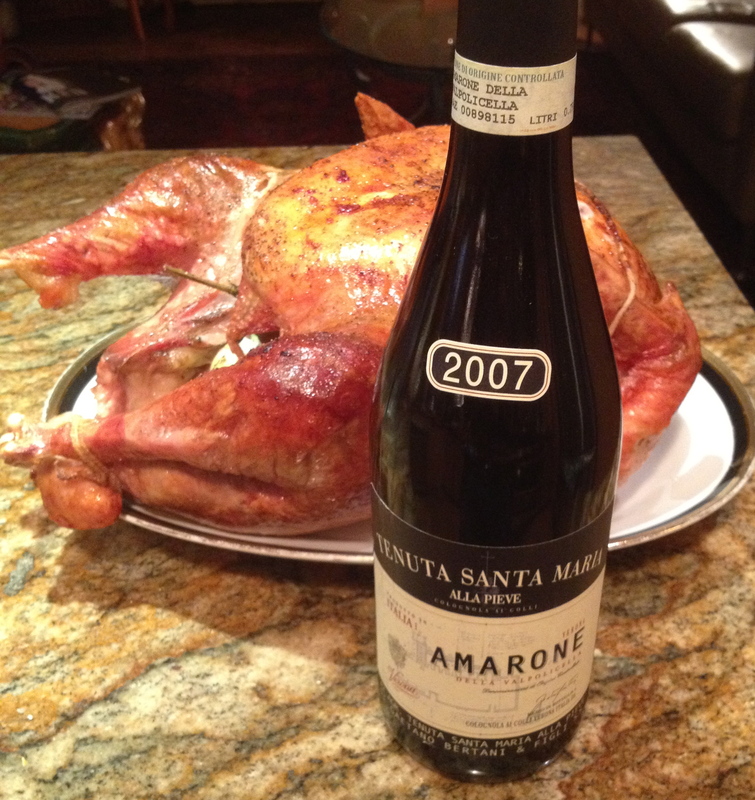 Amarone can be expensive but it has warm aromas and flavors that make it perfect for the colder weather and all the different dishes that accompany the turkey.